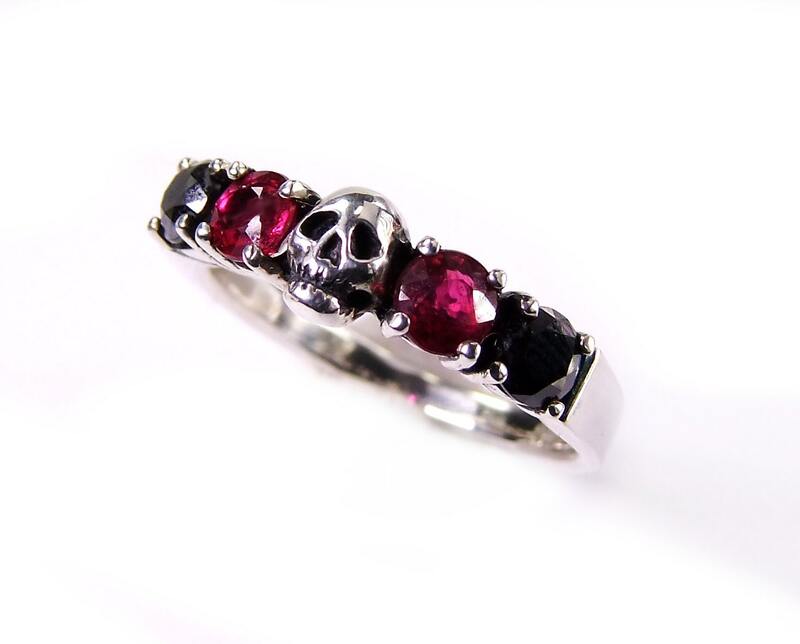 The perfect scary skull wedding ring with black and red stones for your dark bride! 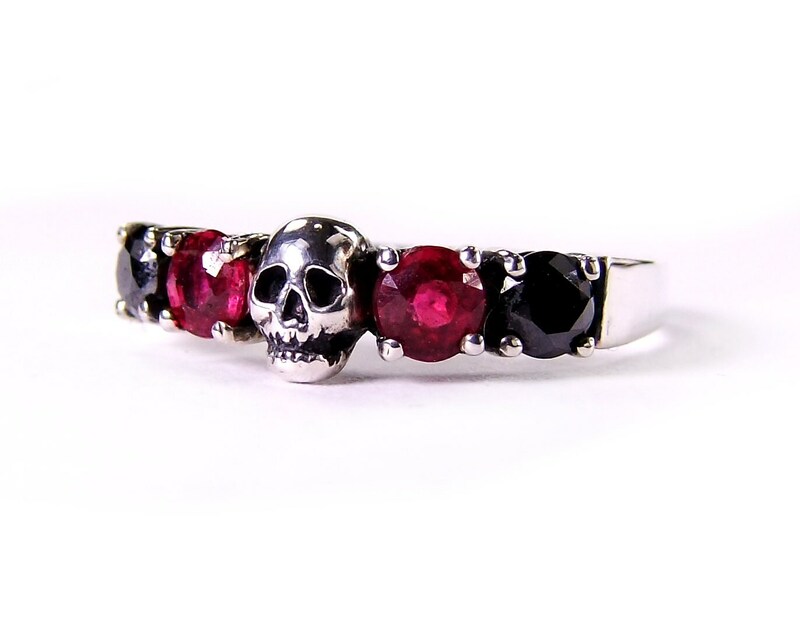 One little hand carved skull is accompaigned by black lab diamonds and dark pinkish red lab rubies. The skull measures 5mm. Please see "Variations" for stone options. 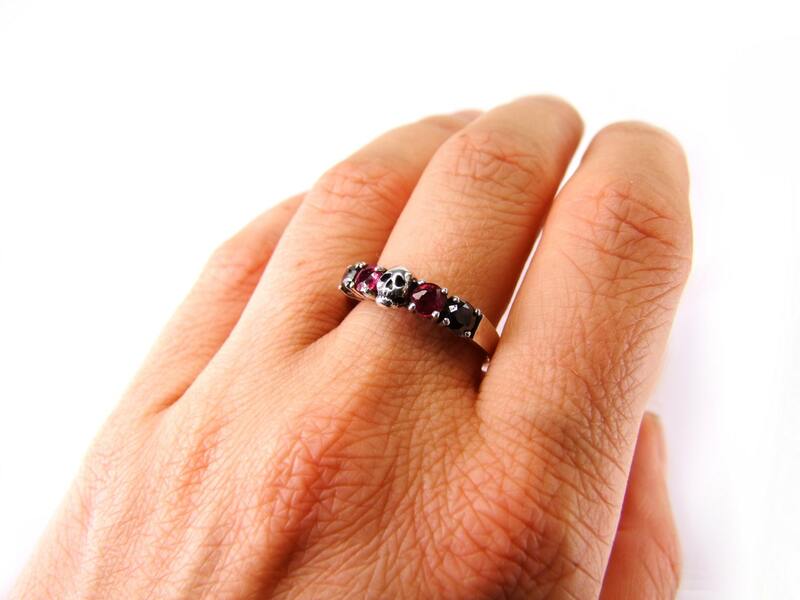 You can choose from natural rubies, sapphires and diamonds, tourmalines, topaz and mystic topaz, red garnet. If you are looking for a particular stone, please contact me. 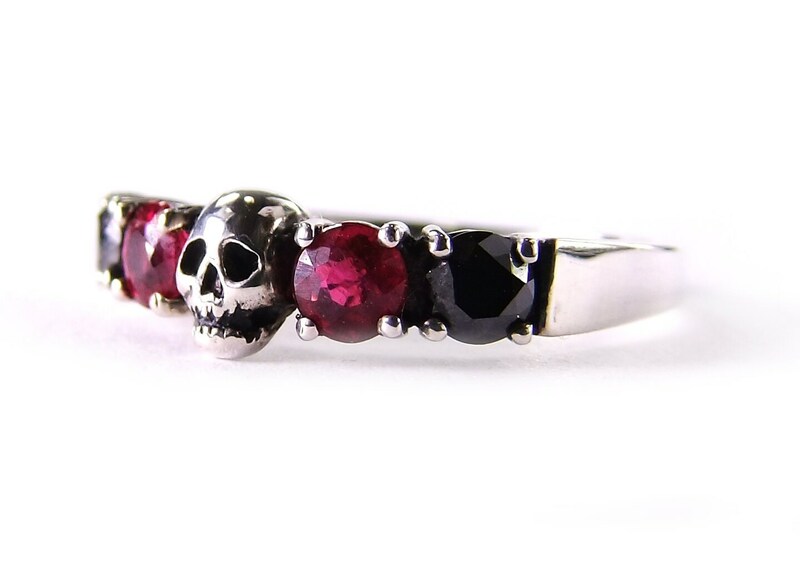 Its a slender wedding band 4mm wide, made of massive recycled sterling silver. 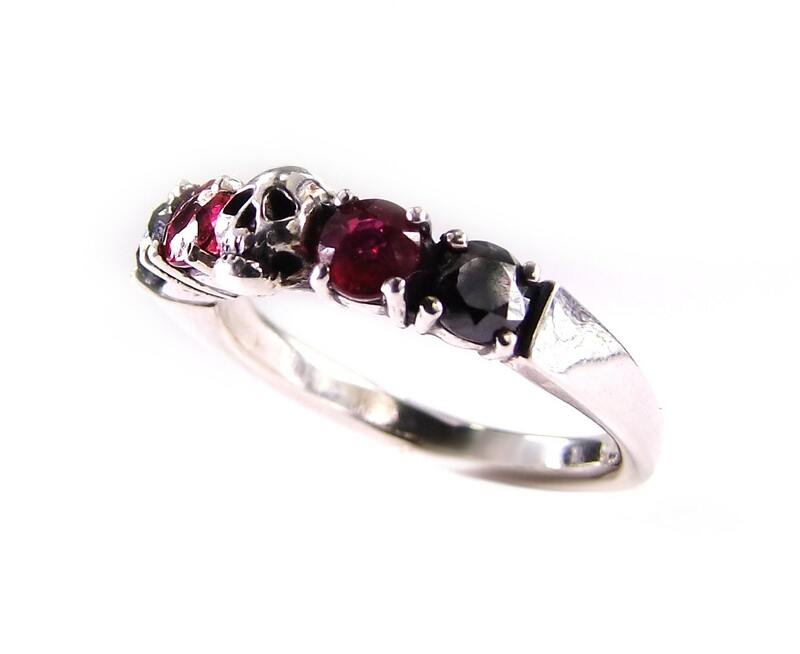 The stones measure 3.5mm and are claw set. 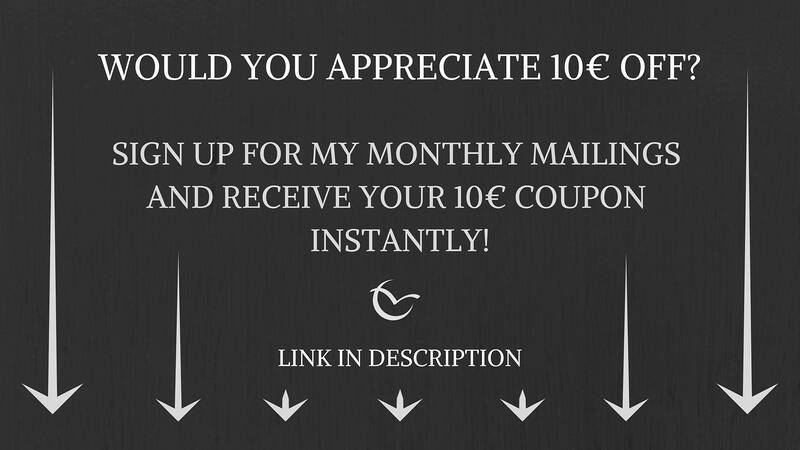 Im offering this ring also in white gold and any other gold alloy. 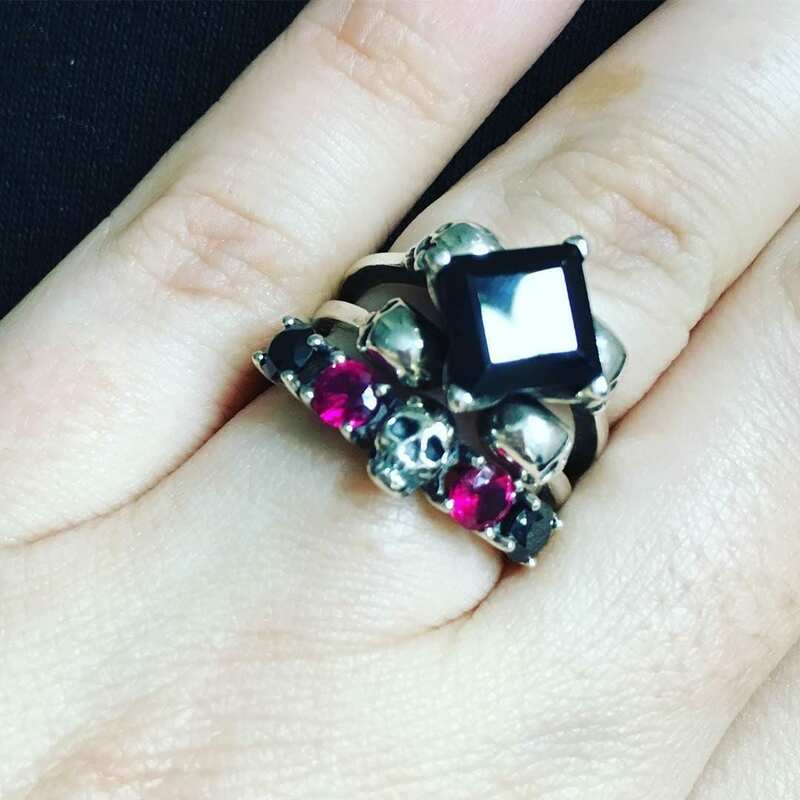 Every ring is custom made for you in your size.